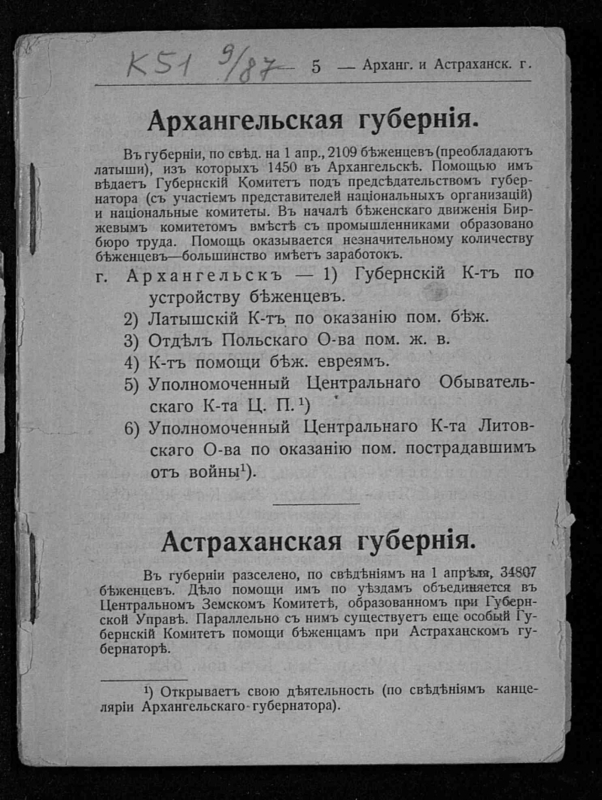 List of organizations in charge of assistance to refugees: on May 1, 1916 / All-Russian Zemsky and city unions. Department for the Settlement of Refugees. - Moscow, 1916. - 15 cm . I. All-Russian Zemsky Union. Department for the Settlement of Refugees. II. All-Russia Union of Cities. 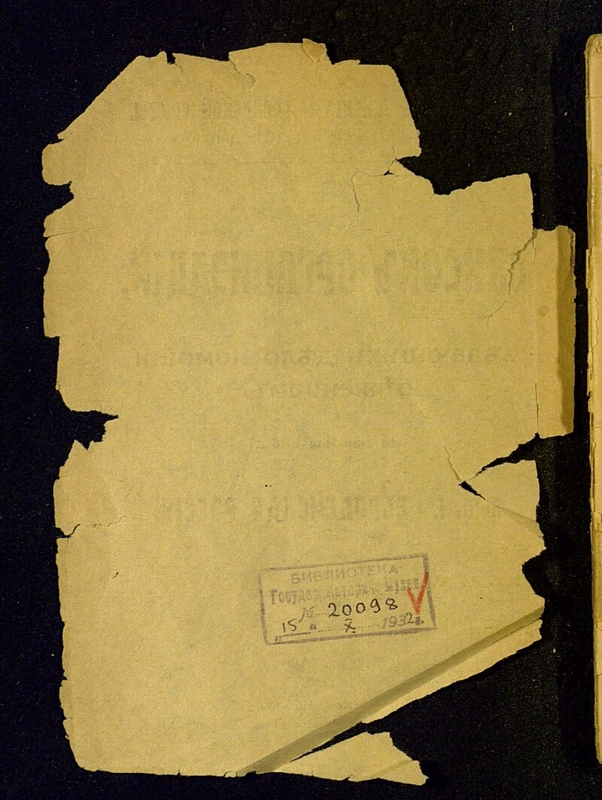 All-Russian Zemsky Union - Activities - 1914 - 1918. 2. 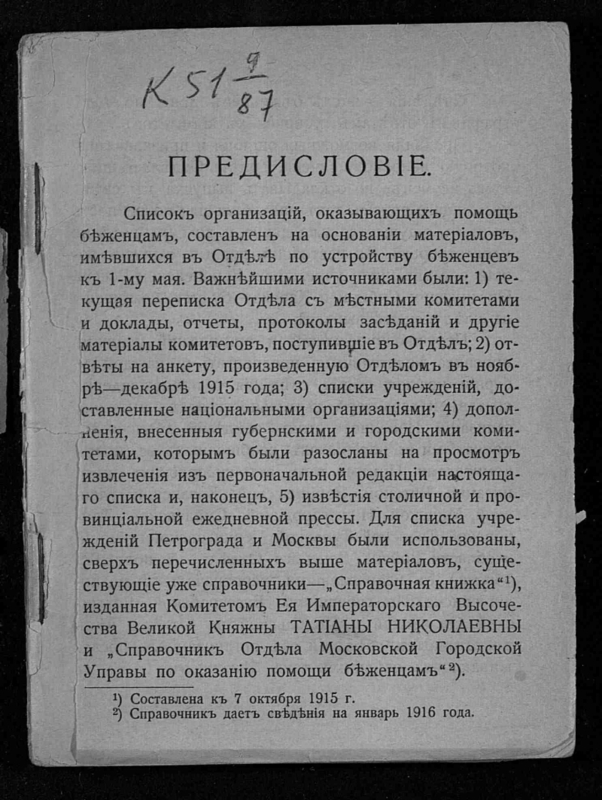 All-Russian Union of Cities - Activities. 3. The First World War - Russia - 1914 - 1918. 4. Refugees - Russia - 1914 - 1918. Issue. 1: European Russia. - 1916. - 158 p. .
1. 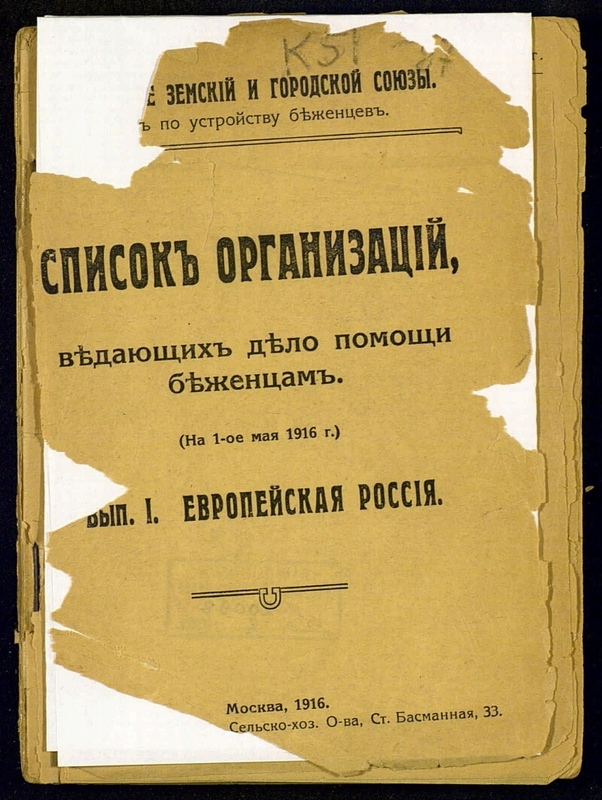 All-Russian Zemsky Union - Activities - 1914 - 1918. 2. 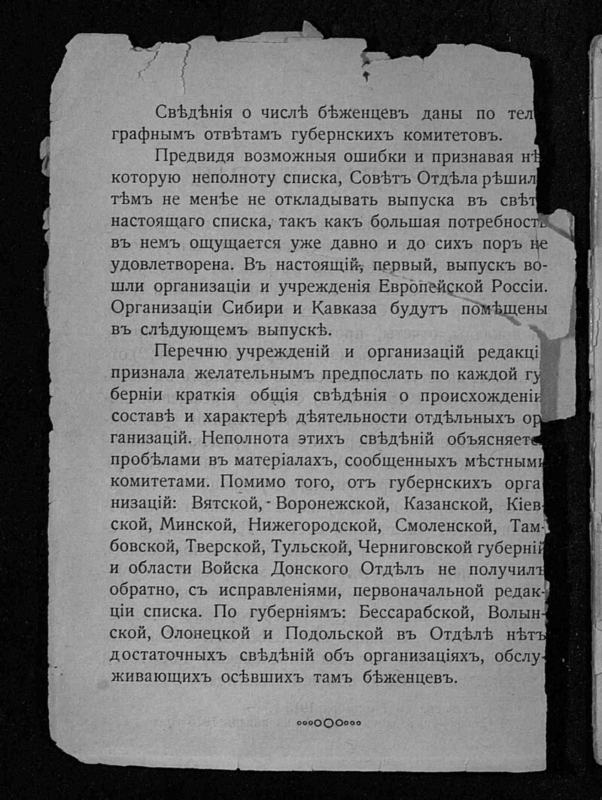 All-Russian Union of Cities - Activities. 3. The people (the collection). 4. Power (collection). 5. The First World War (collection). 6. The First World War - Russia - 1914 - 1918. 7. Refugees - Russia - 1914 - 1918.